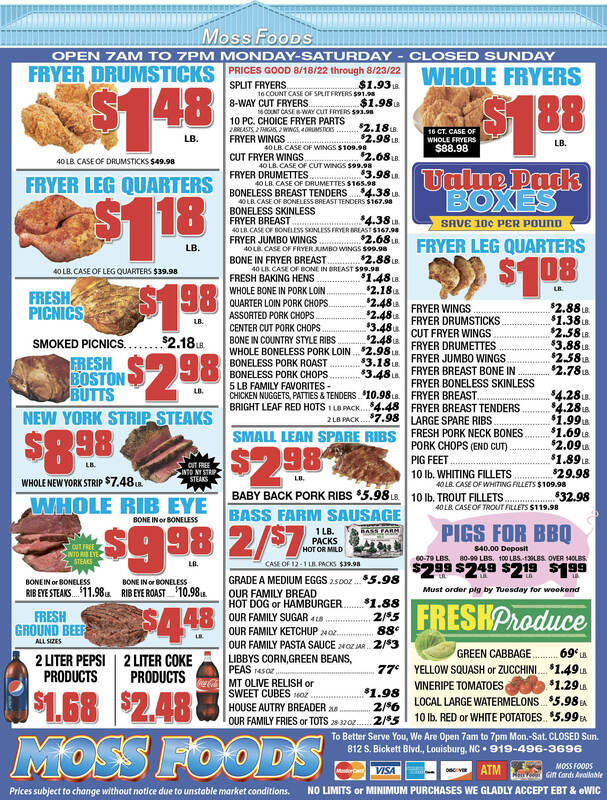 Showing 41 articles from December 5, 2018. HENDERSON -- Commissioners in Franklin, Granville and Vance counties got their first look at company proposals that could bring broadband Internet service to people who don't have it, or offer an improvement over what folks have already. And, because of changes in the service market the past two years, it could come at a cost a lot cheaper for the counties involved. In case you haven't checked the calendar recently, the arrival of the Christmas season is now beyond a doubt! 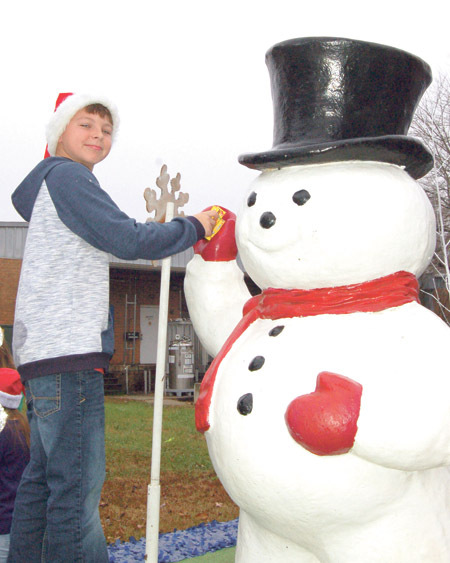 In the photo above, Hudson Winslow puts the finishing touches on a snowman in preparation of the Youngsville Christmas Parade that was held last Saturday. 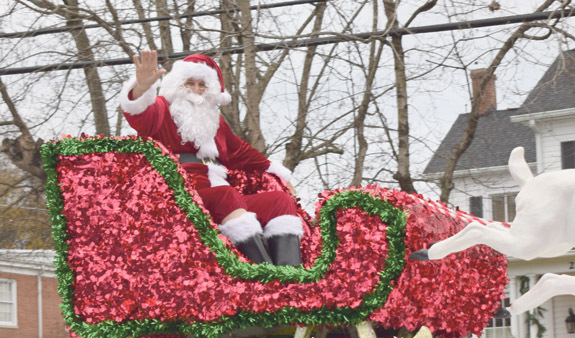 In the photo above, Santa Claus rides in Louisburg's Christmas parade last Sunday afternoon. 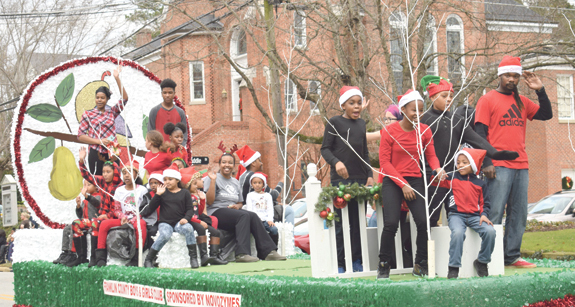 LOUISBURG -- Before creating a new youth advisory board, commissioners want to better examine the resources they already have for youth involvement. In October, Youngsville teen Logan Harrison asked county commissioners to consider establishing a Youth Advisory Board -- which would give teens a chance to perform community service on behalf of the county while also providing county leadership with input from its young population. FRANKLINTON -- Last month, the Boys and Girls Clubs in Franklin County got shots in the arm. First, the Franklinton Board of Commissioners agreed to provide the Franklinton club with $5,000. 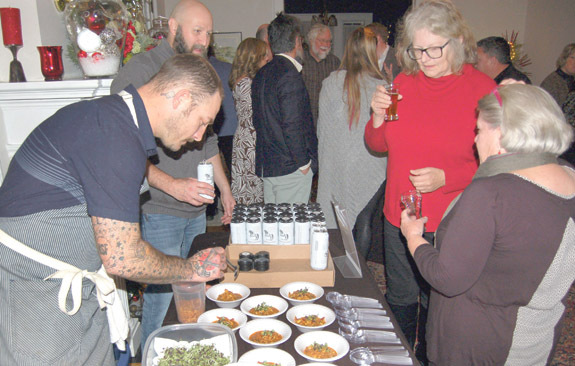 Then, club advocates hosted the annual Hops & Holly fundraiser, where local farmers provided chefs with key ingredients, and chefs paired their meals with craft beer, all in an effort to raise money for the Boys and Girls Club of North Central North Carolina. 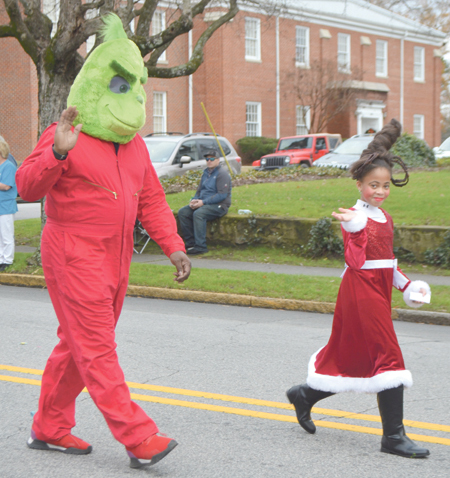 Tree lightings, parades, festivities: Could it be Christmas? 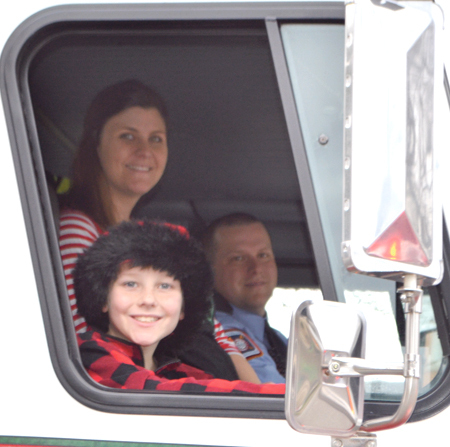 Despite the chill in the air and the downright cold breezes, downtown Louisburg really filled up on Nov. 27 for the second-annual downtown tree lighting that marks the official beginning of the Christmas Season in Franklin County. I suspect that only Santa Claus -- who rode into town on a fire truck -- was enjoying the weather, which must have seemed downright balmy compared to what the Jolly Old Gent is used to at the North Pole. Hockey pucks versus guns; is this the best we can do? A university in Michigan has come up with a novel idea to give students a fighting chance in the event of a mass shooting at their school. It may not be a good idea, but it is something. Oakland University is passing out hockey pucks to be used as weapons against mass shooters. A wise person once told me, start your story at the beginning, so here goes. My first introduction to a library, like most kids of the 1980s, was spent fiddling through something called the Dewey Decimal System and a card catalog. I won't pretend to remember them exactly, but they were a series of resources that helped a youngster navigate the library and find just the right book they were looking for. LOUISBURG--Frederick Louis Dropko, 76, died Thursday, Nov. 29, 2018. A service will be held by the family at a later date. LOUISBURG--Grey "Harlowe" Carter passed away on December 4th, 2018 at Rex Hospital surrounded by her family. Harlowe was born on August 7th, 1937 in Louisburg, NC to the late Aaron and Laura "Arnie" Arnold. She was the baby of the family with nine brothers and sisters. BUNN--Mack Arthur Miles, 73, of Bunn, died Monday, Nov. 26, 2018. 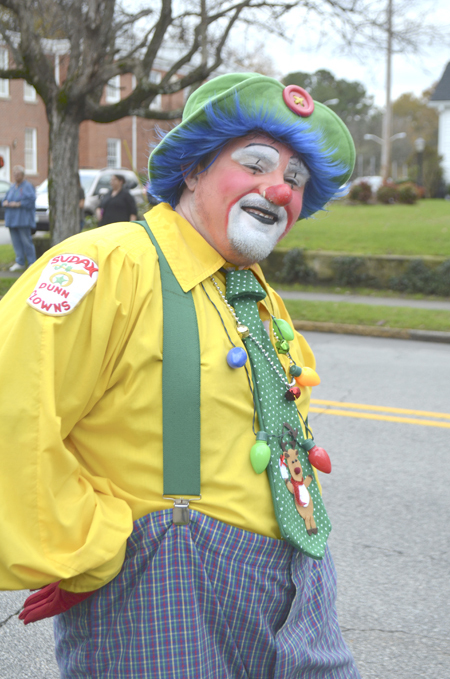 Funeral services were held at 11 a.m. Sunday, Dec. 2, at Bunn High School, Bunn. Interment followed at Gethsemane Memorial Gardens, Zebulon. A visitation was held from 3-6 p.m., with the family receiving friends from 6-7 p.m. on Saturday, Dec. 1, at William Toney's Funeral Home, Zebulon. 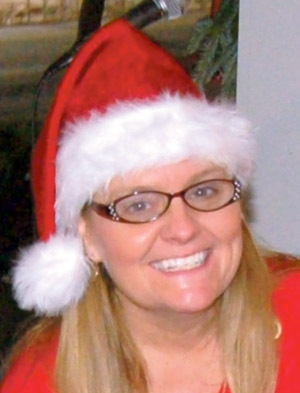 ZEBULON - Paula Jones Hamilton, 57, died Friday night, Nov. 30, after a brief battle with leukemia. Funeral service was held Monday, Dec. 3, at Social Plains Baptist Church, with burial following in the church cemetery. READY TO GO. 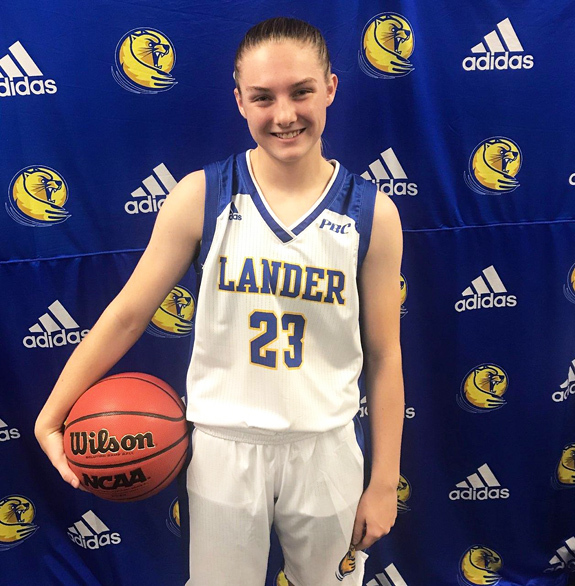 Morgan Williamson's career at Bunn High School has been hindered by injuries, but she is in the lineup and ready to go for her senior campaign for the Ladycats. 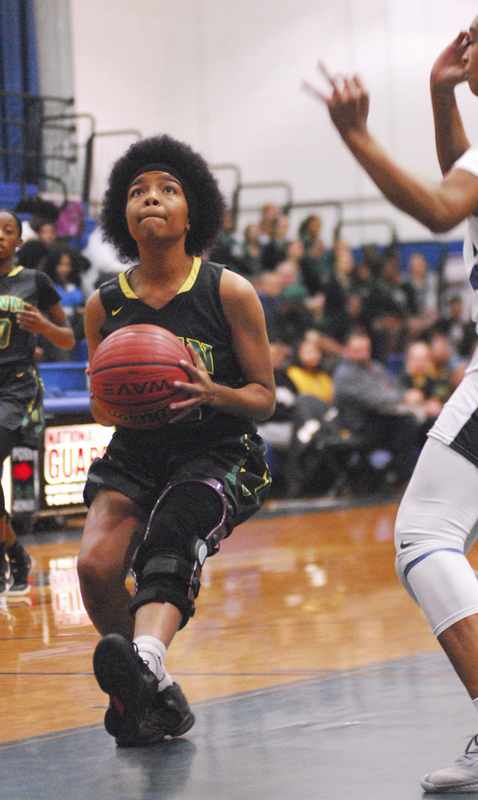 WILSON -- Wilson Hunt's full-court pressure defense provided no antidote for Bunn's struggles to open the 2018-19 girls basketball season. 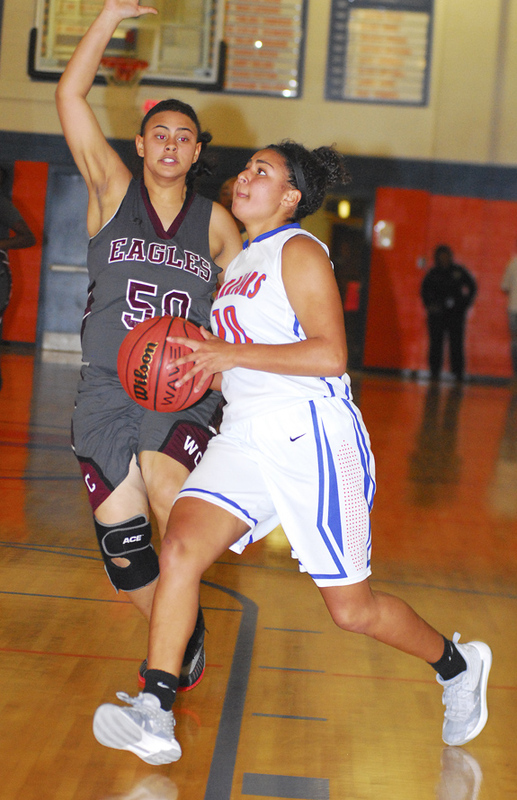 Had it been last year, BHS' Butterball Cooke would have found a way to work through the press. 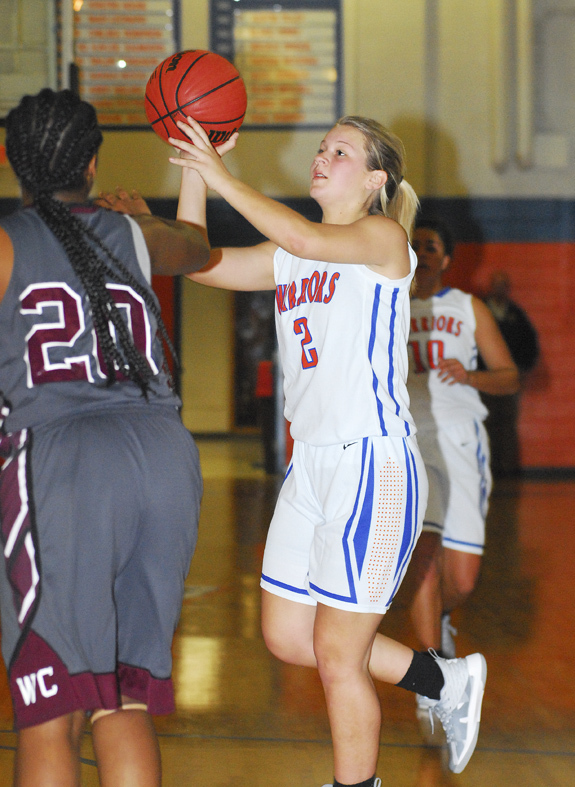 But with Cooke graduated, along with a few other key performers, the Ladycats' options are limited in what is a rebuilding year for the BHS girls hoops program. 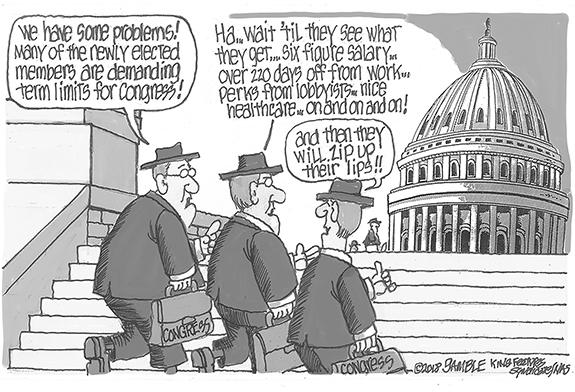 TWO MORE. Louisburg's Elijah Jamison drives for another basketball during Tuesday's home basketball triumph against rival Warren County. LOUISBURG -- One of the most important intangibles for the 2018-19 version of the Louisburg High School boys basketball squad has nothing to do with a physical skill. Instead, a buy-in mindset will be necessary in order for the Warriors to be successful. 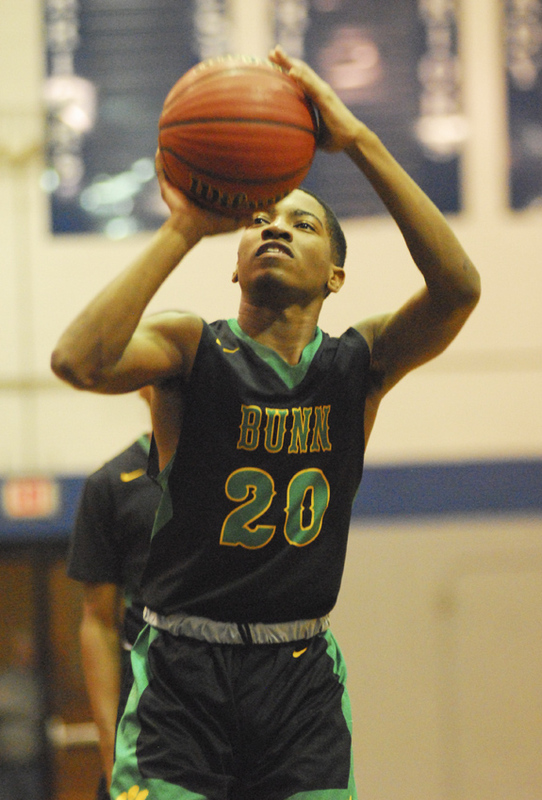 WILSON -- After playing Wilson Hunt to a tight game -- albeit in a loss -- one week earlier, the Bunn Wildcats had hopes for a strong performance during last Thursday's rematch in non-conference boys basketball action at the Hunt Gymnasium. Those aspirations increased after the Wildcats got off to a quick start, but Hunt's pressure defense quickly turned the tables for good in favor of the Class 3-A Warriors out of the Big East Conference. 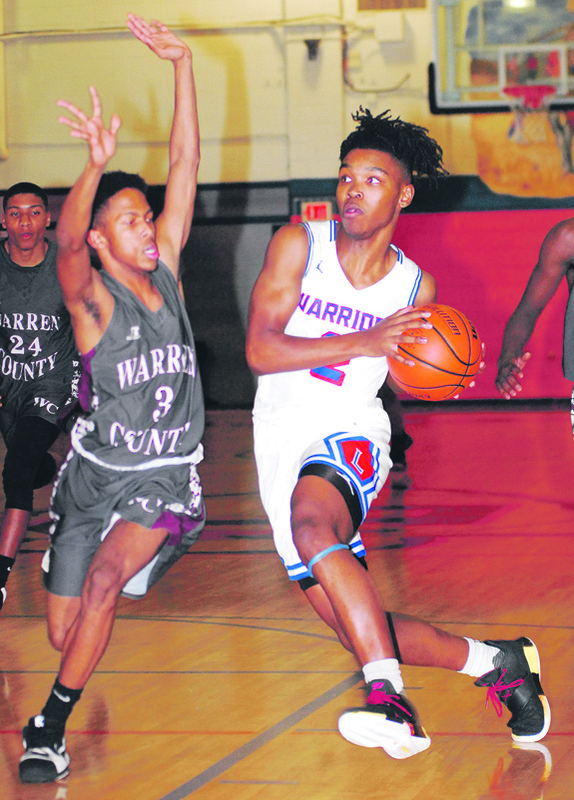 LOUISBURG -- Louisburg High School's strong start to the season has displayed a penchant for winning tight games as the Lady Warriors edged KIPP Pride by one point and rallied from a 20-point deficit to edge Southeast Halifax on the road. But LHS experienced the opposite end of the spectrum Tuesday at home -- albeit following yet another effective comeback. APEX -- When Caydee and Chad Revelle got married in the 1990s, it was a match made in sports heaven. Caydee was a star basketball player in high school at Sevier County HS in Tennessee, and that program was regarded as one of the best in the state at the time. Chad is a Franklin County native who was a multi-sport standout at Franklinton. LOUISBURG -- Terrell Lane Middle School will kick off its 2018-19 boys and girls basketball seasons on December 13 with a home event against Franklinton Middle at the TLMS Gymnasium. Action for each date will begin with the girls game at 4:30 p.m.
ROCKY MOUNT -- Franklinton High School continues to make pool progress in its second season in the Class 3-A Big East Conference. During the latest Big East event last Wednesday at the Harrison Family YMCA in Rocky Mount, FHS took seventh out of 10 teams in the boys standings with 40 points. In girls action, FHS was eighth with 53 tallies. LOUISBURG -- Louisburg College has experienced an uncharacteristic rough patch in men's basketball action over the past two weeks. The Hurricanes have lost three outings in a row -- a streak they hope to end today when they host Fayetteville Tech at 7 p.m. at Taylor Center on the LC campus. Ironically, LC's recent skein began with a 92-77 loss on the road at FT on November 20. GREENVILLE -- Mike Houston, who guided James Madison to successive NCAA FCS Championship Game appearances and one national title, has been named head football coach at East Carolina University according to an announcement Monday by ECU Director of Athletics Jon Gilbert. The Franklin native owns an 80-25 record and a combined six conference championships in eight seasons as a head coach. Senior veteran Kaylee Saunders (with ball) will be a key player this season for the Louisburg High School girls basketball squad. 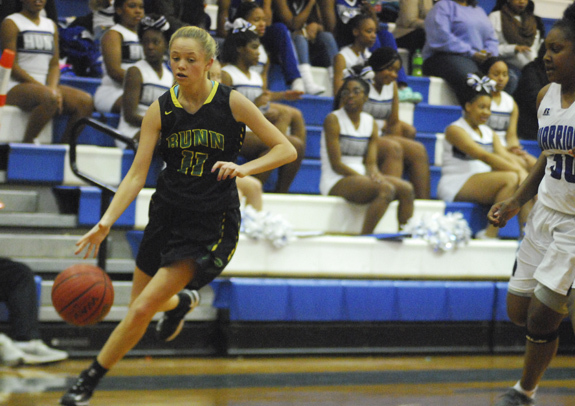 Bunn's Alex Husinko (left) makes an effective move to the basket for the Ladycats during last Thursday's road girls hoops defeat at Wilson Hunt. Bunn Commissioner Charlene Clay helps Shelby, Daisy and Amanda Schaefer fix plates. 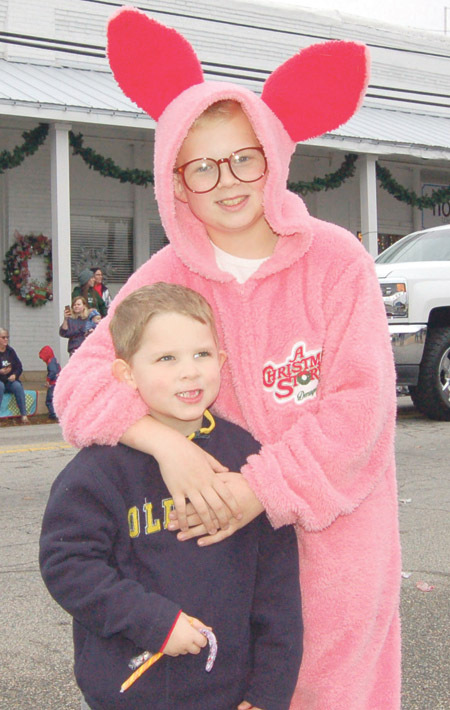 Brothers Quinn and Cullen Galon (with Cullen in a Christmas Story-inspired costume) at the Youngsville Christmas Parade. 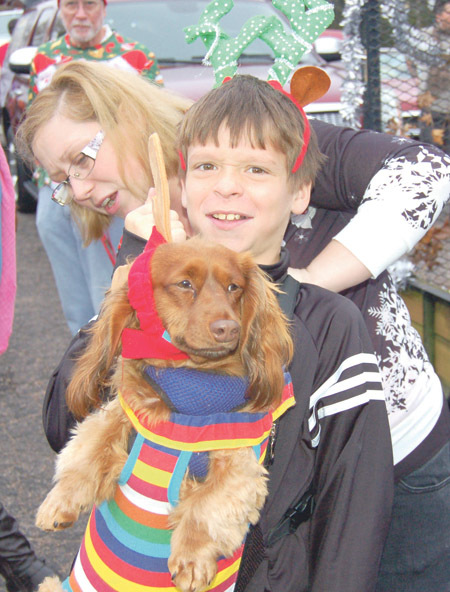 Joanna Eastridge helps Trey Dillard with his dog harness, which holds Oliver, before taking part in the Youngsville parade. What's a parade without a Sudan clown? CASTALIA -- The Northeast Franklin Revitalization Committee has spent a great deal of time focusing on one point of its three-prong strategic plan -- bolstering broadband service. 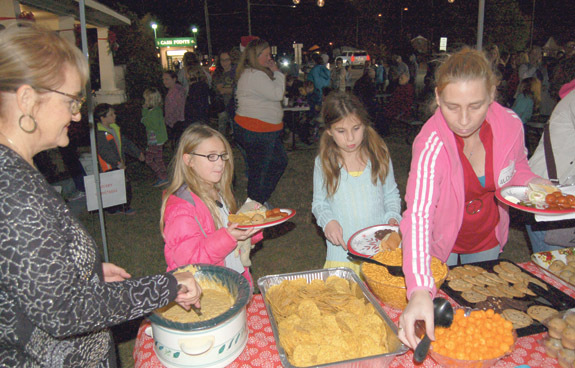 During its Nov. 26 meeting, though, the group focused on goals two and three: supporting agritourism and sparking promotion of the area. LOUISBURG -- Franklin, Granville, Vance and Warren counties essentially got their first return on their hubsite investment -- a four-way split of just more than $140,400. Split four ways, that's just more than a 7.7 percent return on the county's $453,000 investment in the hub project since its inception. 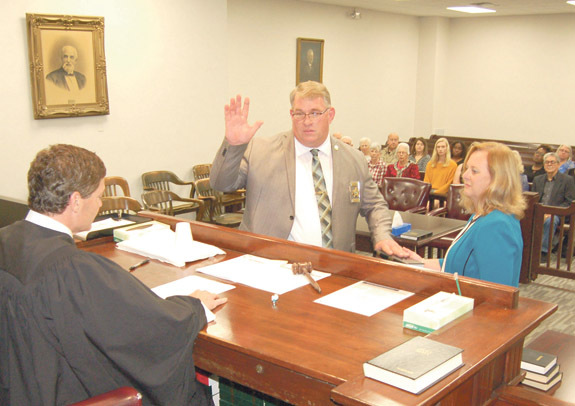 On Monday, at noon, Judge John Davis swears in Sheriff Kent Winstead at the Franklin County Courthouse. Winstead was joined by his wife, Beth. RALEIGH -- The power of art comes from its ability to move people. 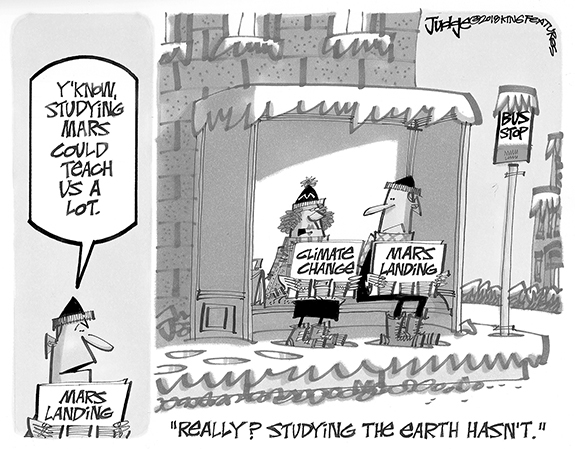 The same is true about aviation. To bring the two together, and engage young people in aviation and aeronautics in the state, the N.C. Department of Transportation's Division of Aviation is sponsoring the North Carolina Aviation Art Contest. RALEIGH -- Governor's Volunteer Service Award Nominations are now being accepted for the 2019 Governor's Volunteer Service Award. The awards program, created by the Office of the Governor in 1979, recognizes North Carolina's most dedicated volunteers. Through the years, the award has been bestowed on thousands of North Carolinians who have shown concern and compassion for their neighbors by volunteering in their local community. Farmers with damage from Tropical Storm Michael may be eligible for disaster assistance from the Hurricane Florence Agricultural Disaster Program of 2018. The $240 million bill approved last week by the N.C. General Assembly would help farmers with storm damage and agricultural losses from both Hurricane Florence and Tropical Storm Michael. 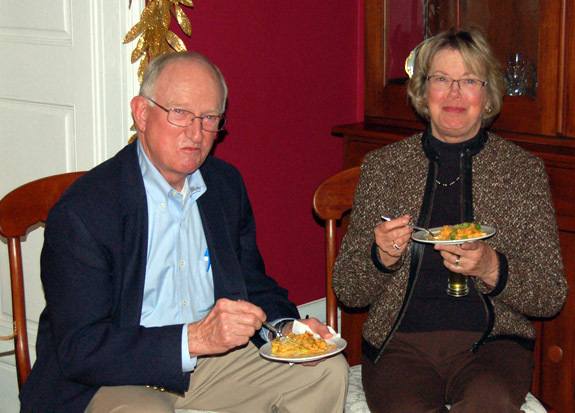 Franklinton Commissioner Dr. Phil Meador and his wife, Nance, find a cozy spot to sit and try some of the dishes prepared during Hops & Holly, an annual fundraiser for the Boys and Girls Club of North Central North Carolina.